A rates analyst for 19 years with valuation work across 12 councils, his current project is uniting the Monash ratepayers behind a full economic disclosure model. We get to hear it first. 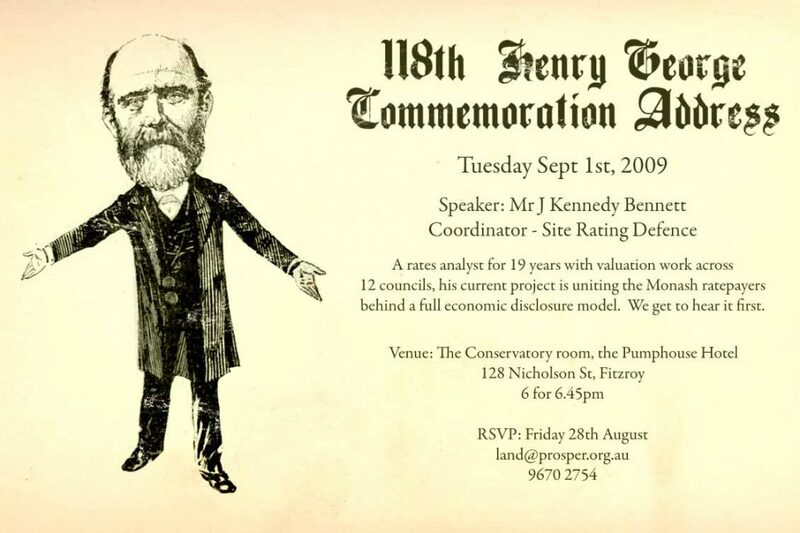 Enjoy the welcoming atmosphere of the Pumphouse, just across the road from the Exhibition Building where Henry George gave his 1890 speech to a packed audience. Meals will be available via the popular “pay as you go” method, starting at around $15.00. We will begin to gather around 6pm. Meals to be ordered by 6.45. RSVP: Friday 28th August if you will be attending.